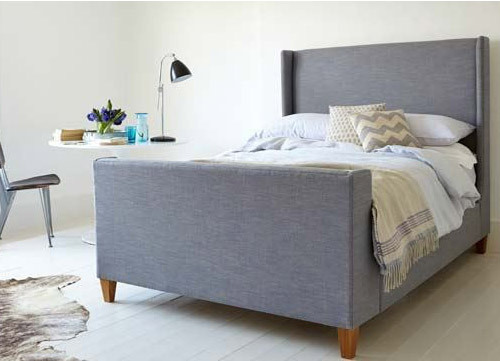 Our beds are all hand made in Britain and can be upholstered in any fabric in the world. Contact your nearest showroom to book a design consultation for interior design advice and more fabric options. Our unique contemporary take on a classic luxury bed. 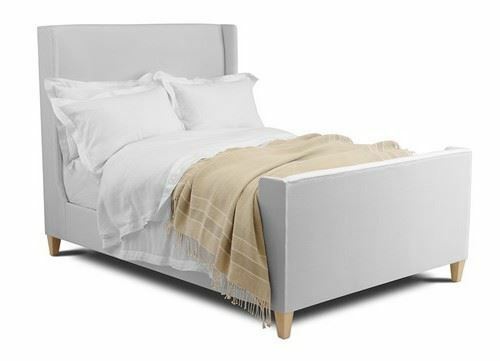 With contrast buttons and piping; a smart “double headboard” and limed solid oak feet. It's simple elegance works in any fabric you can think of. 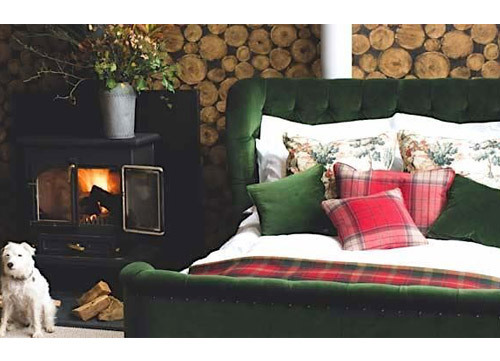 This splendid bed shows the quality of British custom upholstery skills. 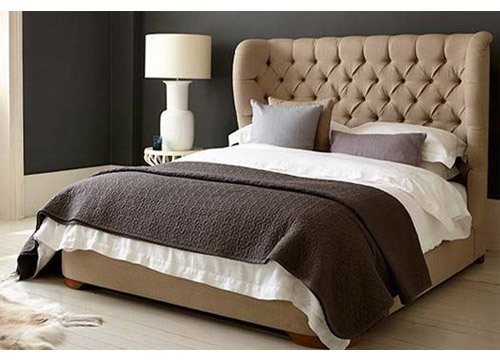 Deep hand buttoning, turned and aged beech stained feet make this a luxurious addition to your master bedroom. 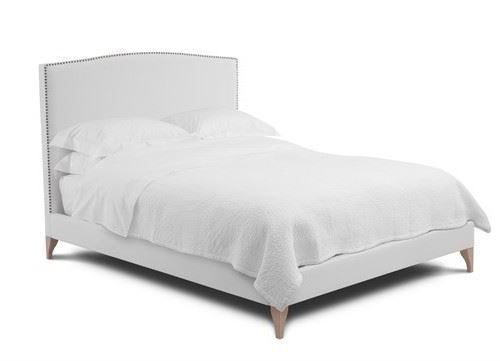 Curvy and comforting, with a distinctively Provencal appeal, this luxury bed brings an indefinable air of chic to your bedroom. Looks wonderful in stripes. 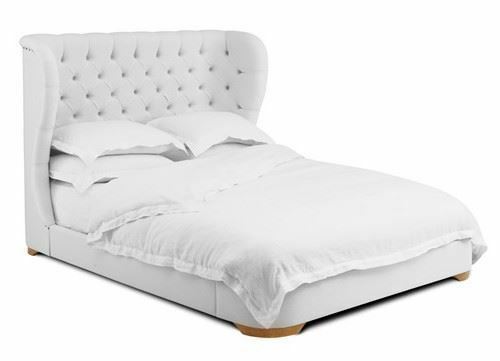 A contemporary bed with an unusual and fun curved buttoned and padded headboard. So appealing for it’s simple design and a great spot for a bit of reading or just dozing off! Contemporary and elegant. 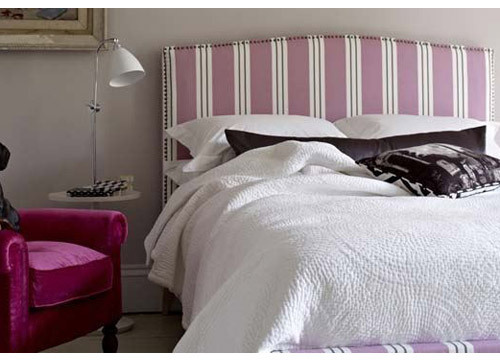 The Redchurch has a very smart upholstered panelled headboard, who wouldn’t want to sleep in this stunning bed. Domino comes from my time when I collected 1950’s furniture. Its sculptural form was typical of that decade, when designers began experimenting with new fluid forms and materials. Our fixed cover version of a camel shape. Here we highlight the hump with large, widely spread hand studding. A trusted look for both the city or the country. 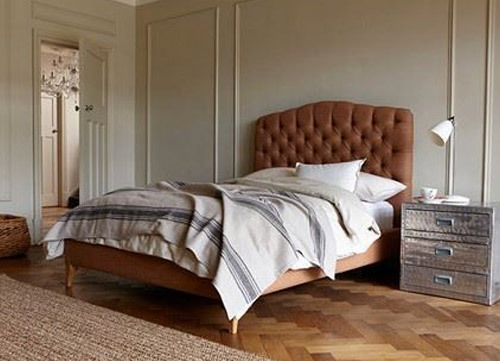 A contemporary bed, uncluttered and streamlined, that seems to ‘float’ on its oak plinths. 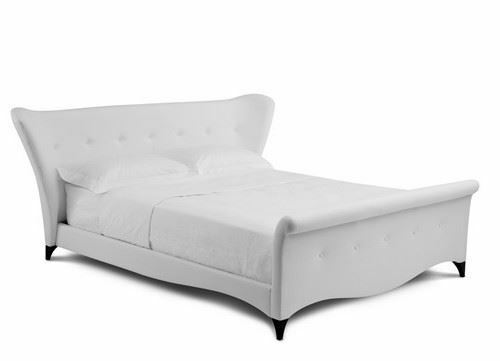 The headboard has curves and the soft profile beloved of 1950s sports car designers. 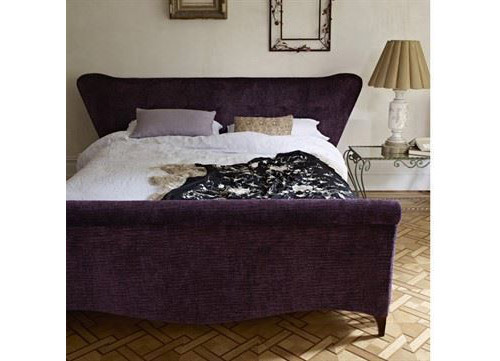 If you dream of gorgeous beds with Hollywood looks, dressed in dark velvets, the Gothic is for you. 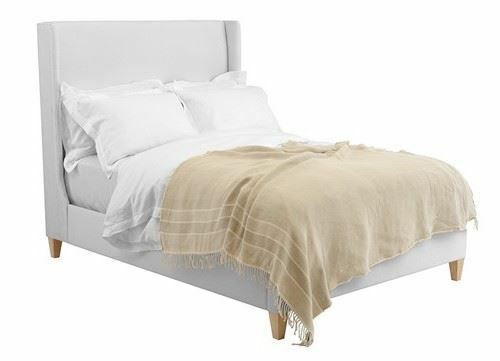 What dreams are made of, traditional mixed with a bit of contemporary, simple with just a little shapely curve! The following handmade beds are exclusively available to order in store. 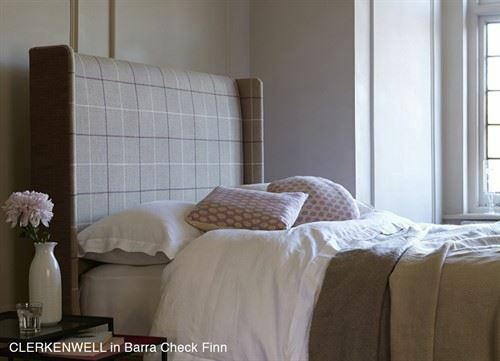 If you have a particular bed in mind, call ahead to ensure it’s on display.